It's no secret that some of the best art comes out of social turmoil and, in recent years, nothing is a better reflection of this than the burgeoning street art scene in Tel Aviv. Appreciation for art and architecture runs deep in the city's history; at Tel Aviv's center, you'll find the UNESCO world heritage site, the White City, a collection of over 4,000 Bauhaus-style buildings. 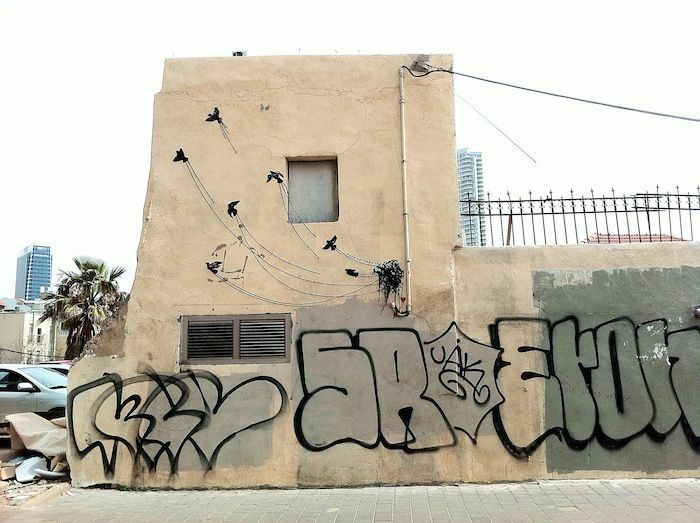 Some of these properties are currently being restored while others are aging, beautifully crumbling relics covered in intricate graffiti that tells the story of Tel Aviv's new generation: the art form shares the young residents' views on love, war, housing policies and everything else driving them. While a lot of street art is illegal (in certain areas of the city there are hefty fines if you are caught), there is an interesting understanding that the police have "more important" things to do and there is not as much "broken window theory" police work. Often, graffiti is not covered up if it's deemed "art." This is not tagging. The municipality actually provides about 40% of the annual budget to the Tel Aviv Museum of Art who has an exhibition funding these same street artists. 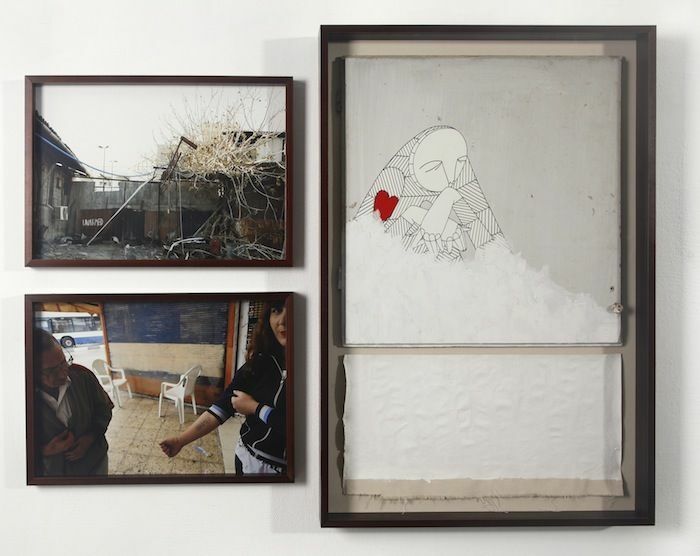 Some of Tel Aviv's homegrown artists have exhibited internationally at museums from Kobe, Japan to Berlin, Germany to Artsy.com. As their work continues to gain momentum both at home and abroad, we're spotlighting some of the biggest names in the Tel Aviv street art scene today. 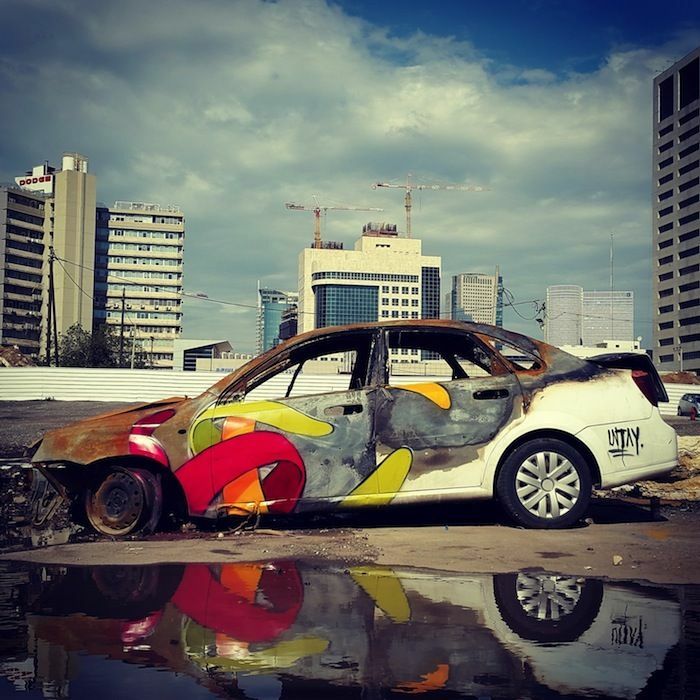 Know Hope is among Tel Aviv's most well-known street artists with some of his work appearing on Artsy, Complex, and Dazed Digital. Active in the scene since 2004, his works typically feature a lanky man with a red heart on his sleeve. In his most recent project, 'Truth and Method,' which opened in March at the Gordon Gallery in Tel Aviv, Know Hope moved his art from street walls to people: he tattooed individuals with text seen in some of his previous pieces and took portraits of them in Tel Aviv. 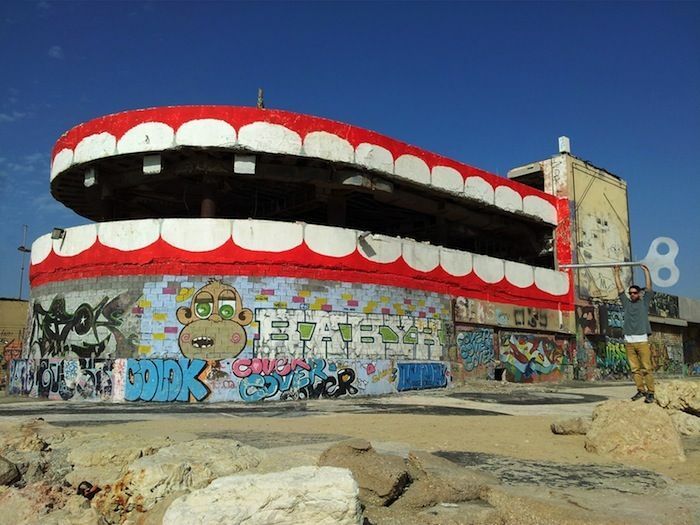 Dede, a born and raised Tel Avivim, known for the images of Band-Aids that pop up in his work, has displayed his art on the streets of Tel Aviv since 2006 following the completion of his service in the Israel Defense Force. According to Dede, the Band-Aid is a "symbol for all kinds of difficulties -- personal and societal -- seeking remedies" and, to that end, his illustrations typically reflect on current events in Israel, including the West Bank occupation and ongoing housing crises. Starting in 2009, he began showing at several galleries throughout Israel as well as on streets internationally in places like New York, Germany, and Switzerland. A veteran in the Tel Aviv street art scene, stencil artist Sened is known for his kufsonim (little boxes) or stenciled figures that have been popping up around the city since the late '90s. What's unique about Sened's art is that in a landscape where art is often created on a large, visible scale, Sened's kufsonim are often very small and situated in out of the way places, interacting with their surroundings. A former visual communications student with a graphic design background, Untay's work has revitalized some of Tel Aviv's most neglected landscapes with bursts of color. Creating art on the streets of the city since 2009, he is well known for his series of exuberant bandanas, shown in the air, mid-flight, that commemorate the Tel Aviv protests of 2011 against the high cost of living and social inequalities. Untay is currently taking part in an Israeli street art group show in Vienna at the Inoperable gallery with another artist on our list, Dede, along with Broken Fingaz and Pilpeled. 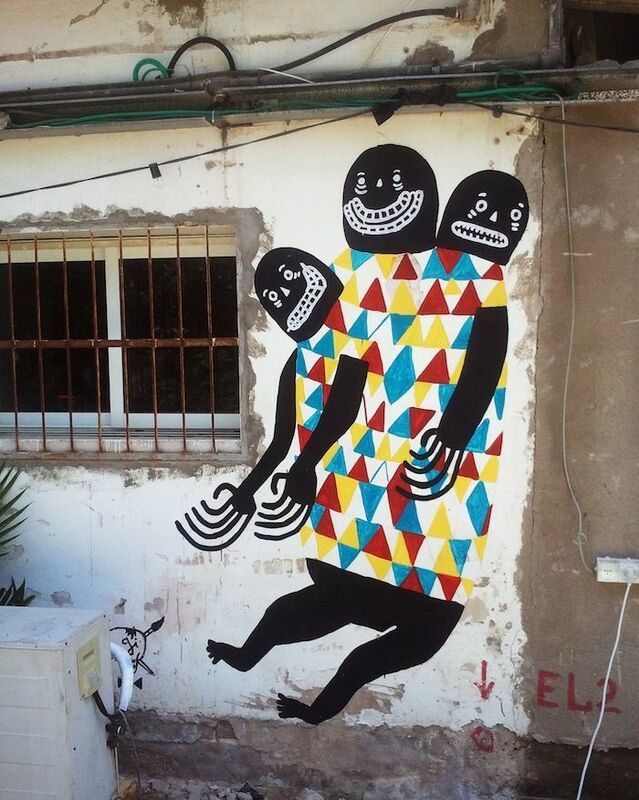 Though street art is often a male-dominated practice, Tel Aviv is home to a well-respected crop of female artists. One of the most exciting members of the scene is Maya Gelfman, who is as well known in the street art world as she is in the gallery circuit where you'll find her works using higher end materials, like etchings with gold thread. To add to her prestige, Maya has participated in a TED Talk with other prominent Israeli women from different fields, as she's become a respected voice of the younger, creative class in Israel. While she uses a large array of mediums, for her street art, Maya works with string to create really dynamic compositions like flocks of black birds, or vibrant hearts. This August, Maya will be flying to Kobe, Japan with these "black birds" to create a massive scale installation for the 2015 Biennial. As his moniker suggests, Ukraine-born, Israeli-raised, Klone Yourself's work is a commentary on societal norms like individuality and often features mash-ups of warped human and animal forms. Finding the street art process renewing and an essential to revitalization, Klone has been known to go back and paint over locations where his previous work has been erased. If you can't make it all the way to Tel Aviv, Klone has an upcoming solo exhibition at the Garis and Hahn Gallery in New York. Named one of Israel's most promising artists in 2013 by Israel's leading business paper, Calcalist, and Time Out Magazine, Nitzan Mintz is a street poet and leader among a growing crop of young writers bringing a new vibrancy to the country's literary scene. 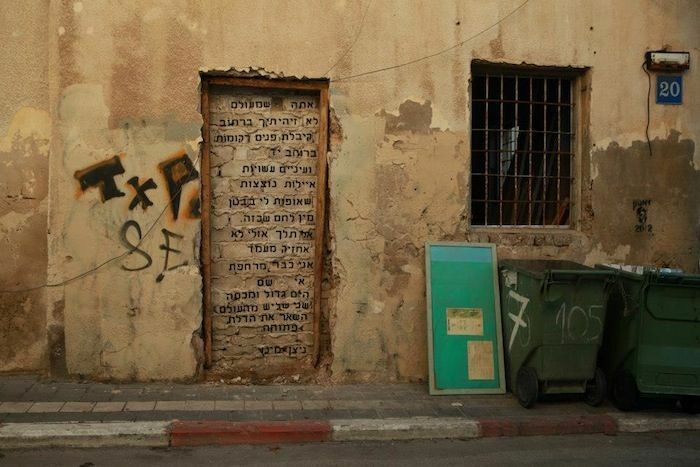 Her unique, beautifully blocked Hebrew can be seen throughout the city offering commentary on the surroundings and societal critiques of topics such as God, sexuality, social attitudes towards women, politics and relationships. In artist Dioz's world, the bigger the better. 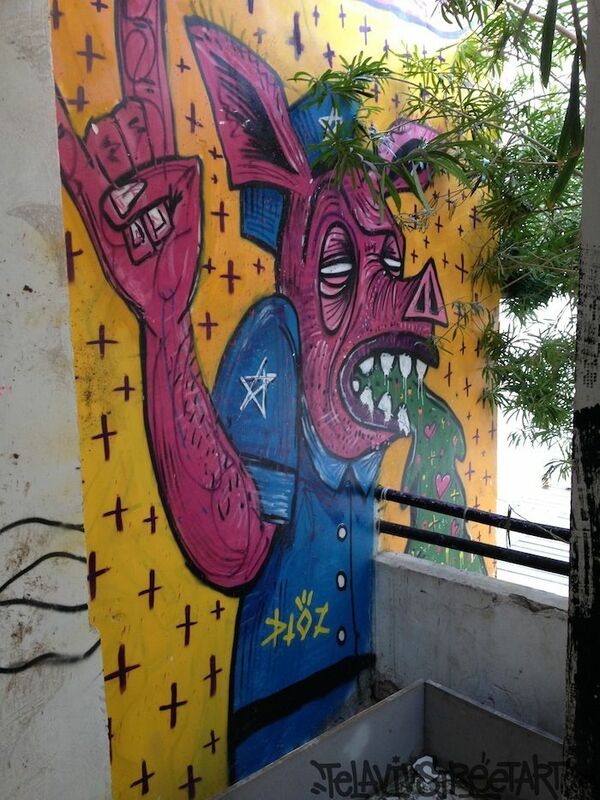 Visible on the streets of Tel Aviv for a few decades, Dioz's artwork will usually take up all of the space on his canvas, be it wall, trash bin or gate, unless he's working with another artist. 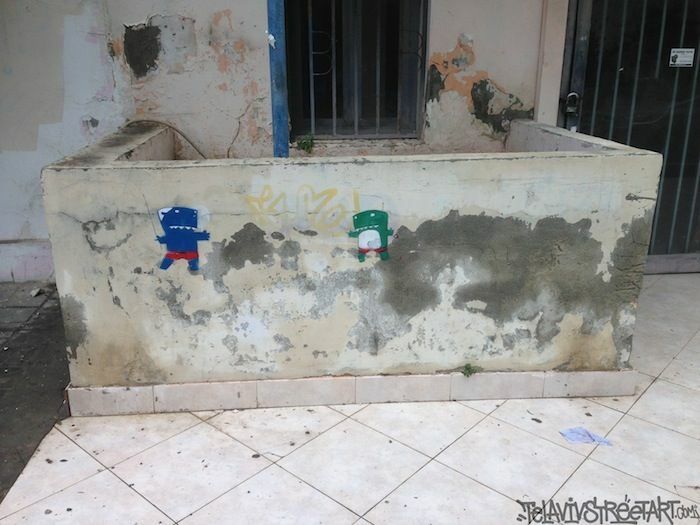 Dioz's decorated trash bins can be seen popping up all over the city as many of Tel Aviv's homeless steal them and take them from run-down neighborhoods to more pristine ones on the hunt for refund bottles. Inspired by people he meets and fellow artists, Dioz's work features striking characters and a laid-back attitude that's more light-hearted than the politically-charged work of some of his peers. As he says, he's just "try[ing] to put some color and some fun [in]to the streets." Starting on April 30th, Dioz began showing at the Jaffa Salon Gallery in Tel Aviv-Jaffa with another artist on our list, Signor Gi. This will be the third collaboration between the artists mixing their two styles and then cutting the canvas into smaller pieces. 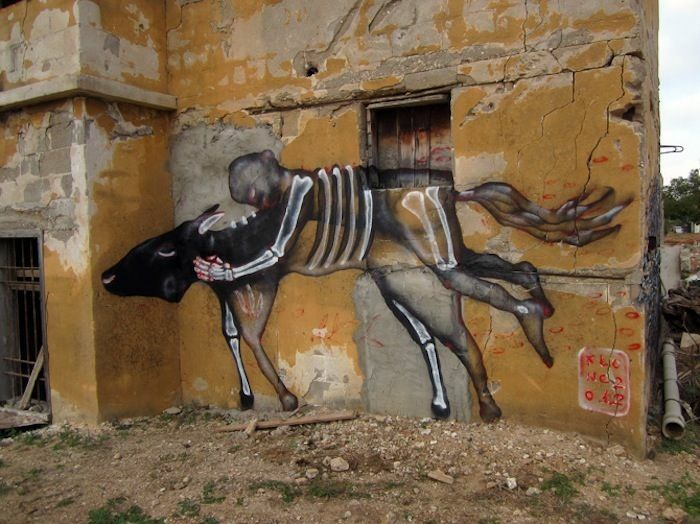 Signor Gi's work began appearing in Tel Aviv about six years ago, first starting with stencils and paste ups and eventually evolving into the paint brush technique that we see now with his skull signature. Sometimes accompanied by tongue-in-cheek statements, Signor Gi's art makes reference to the construction of identity, an idea that is extremely important in Israel as it was founded as a nation just a bit over fifty years ago. 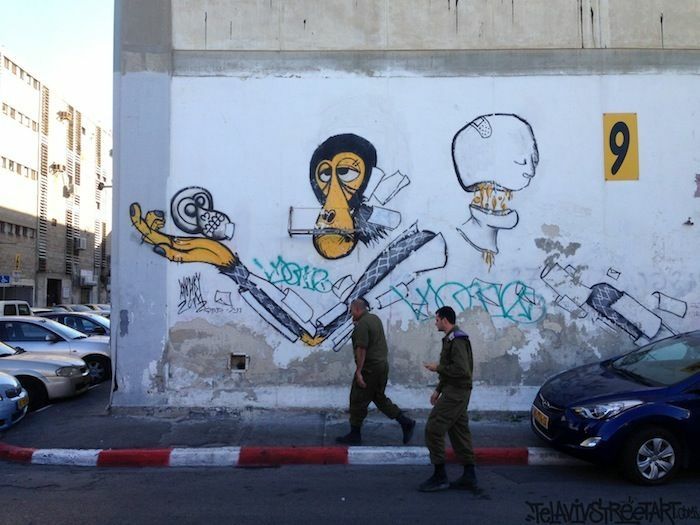 Whether solo or in collaboration with art created by his peers, artist Wonky Monky's signature monkey is ubiquitous on the streets of Tel Aviv. Using his ever-present monkey as an "allegory of the human condition in contemporary society," Wonky Monky paints scenes of a post-apocalyptic world -- he often features broken technology -- and poses questions about everything from the progress of the human condition and hunger to boredom, loneliness, sadness and violence.